From where do the most of the calories in a chocolate lava crunch cake come from? 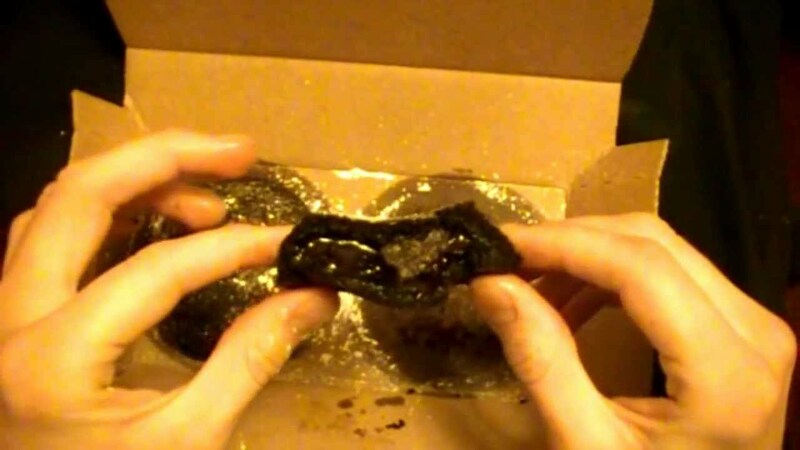 From the crust or the molten chocolate that's inside? From online comments, this copycat recipe seems pretty accurate. Domino’s makes their cakes in the pizza oven. The secret to the gooey center is that the cake is baked at a high temperature to solidify and crisp the outside. Meanwhile, the chocolate lava center stays liquid and gooey. They make for an elegant, yet really easy to make dessert. So by weight (the leavened cooked batter is lighter), the lava and the cake have the same ingredients, same calories. The "lava" seems sweeter because it is denser, so it has more sugar by volume. According to the Domino's nutrition guide, the cake includes both "fudge" and "cookie cake". The center is probably the fudge, which is basically a mixture of chocolate, sugar, and fat so that it stays soft as long as it is warm, and would contain much more sugar than the cake. Not the answer you're looking for? Browse other questions tagged chocolate calories or ask your own question. 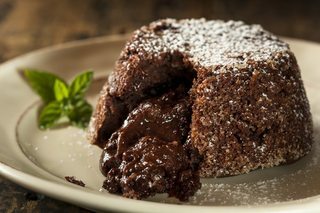 How will less flour affect molten lava cakes? What can I use as a substitute for Nori Wrapper on a Chocolate Dessert Sushi? Putting a solid chocolate bar inside cake dough: what's the outcome? Why most chocolate bars have trans fat? How do I keep chocolate chips from melting in cake batter? What makes molten chocolate so much more filling?